Why I Vote. Why I fast. Why I have faith. – Lindsay J. Why I Vote. Why I fast. Why I have faith. Posted on November 2, 2008 November 26, 2009 by Lindsay J.
I’m in a bus traveling through New Jersey on this beautiful fall morning. I love the roads in the east. I’ve never seen so many trees with such a wide array of colors. As I listen to my Sunday music playlist and read my email, I can’t get my mind off of Proposition 8. I have felt so helpless in this great cause while my parents and siblings are devoting hours to knocking doors and calling voters. I read this morning a great editorial in the Orange County Register by a lawyer and member of my stake presidency back home and I also listened to the forum this past week with Robert P. George of Princeton University about the moral purposes of law and government. Both great arguments but I highly recommend the latter if you have a few minutes. I’ve never heard such an amazing argument for marriage. Today I am fasting that proposition 8 will pass. I believe in the ancient custom of fasting because I have felt increased closeness with the Lord on times when I fasted for something that was so important in my life. I believe in fasting because the Lord requires it of those who really seek him. I believe in fasting because my mind becomes more clear and my heart in tune with what is most important in my life. Fasting probably changes us and increases our faith more than it changes any thing we are fasting for. So I fast today to seek the Lords help in getting this important proposition passed. 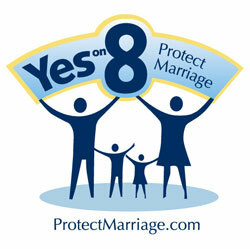 I fast to ask the Lord to bless all the efforts of so many people who have worked on the Proposition 8 campaign. I sincerely pray that the outcome will be positive on Tuesday.